Reading, PA: Restoring Hope Foundation is sponsoring a Polar Plunge on Saturday, December 2 at 12 noon at the Blue Marsh Dry Brooks Area (Beach area at the snack bar). Plungers will collect donations prior to the event (a $25 minimum) for the opportunity to plunge into Blue Marsh Lake. Then, on Saturday, December 2, friends and family members will cheer the group on as they bravely jump into the icy cold waters of Blue Marsh Lake. 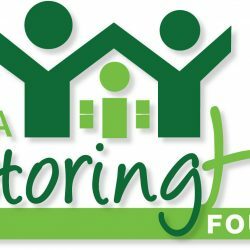 The HBA Restoring Hope Foundation, a 501©3 non-profit organization, is helping to restore lives one project at a time by constructing solutions to address the unique challenges of deserving people in Berks County. Every year, a group of Restoring Hope volunteers changes the lives of one lucky Berks County family by providing a free one-week home makeover. These families are hard-working, middle-income individuals who are facing some challenges. It’s all about giving a hand up, not a hand out. HBA Restoring Hope Foundation was established after the popular television show, Extreme Makeover: Home Edition, came to Berks County in 2010. Many Berks County businesses and individuals who were involved with the Extreme Makeover project wanted to continue giving back to the community. For more information, go to www.HBArestoringHOPE.org or contact Dawn Wivell, Marketing Chair at 610-334-1596 or [email protected]l.com.